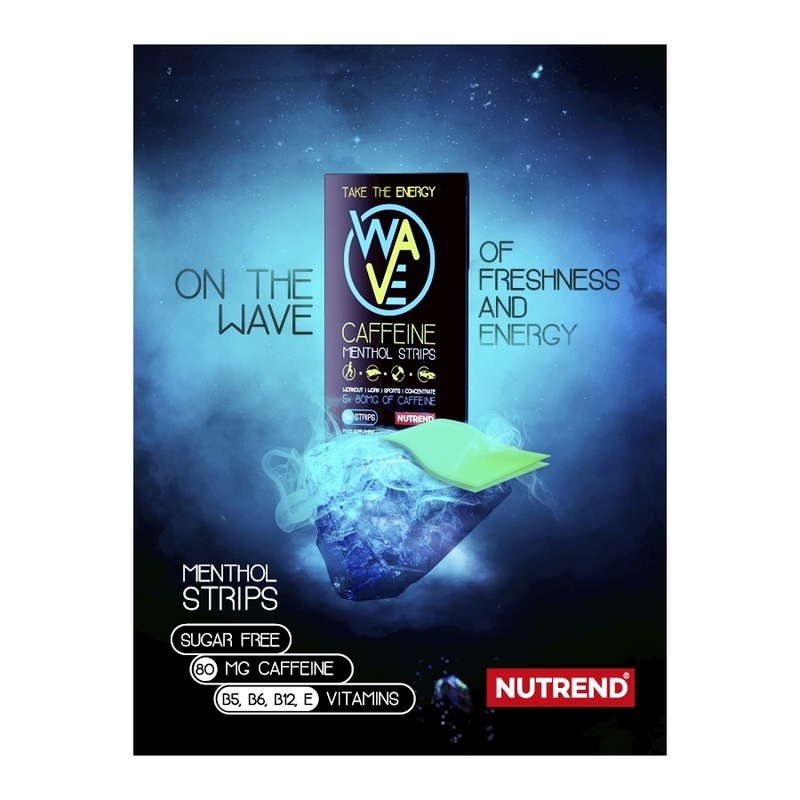 A strip full of energy which with its menthol power refreshes and with its high caffeine dosage awakens! 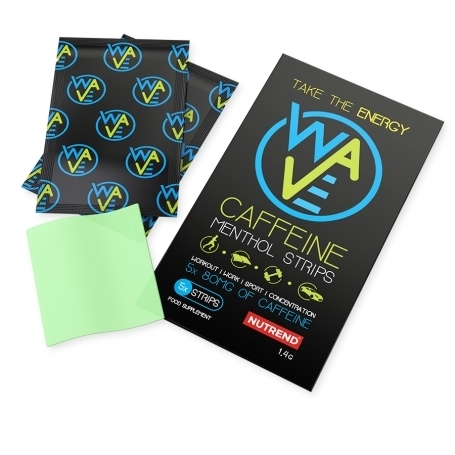 Every strip contains 80 mg caffeine which equals one coffee cup and brings immediate energy boost. The strips easily melt in the mouth and due to their unique form and easy usage they can be at hand anytime. 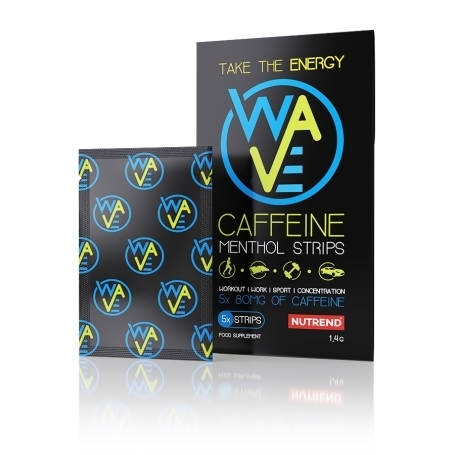 WAVE CAFFEINE MENTHOL STRIPS are sugar-free, contain four vitamins B5, B6, B12 and E for fatigue reduction. A practical package fits in any pocket or wallet, the unique strips provide fast stimulation for athletes, students, drivers, and also anyone who needs to always carry energy with them. Use: Dissolve the strip in mouth. Recommended dosage: 1 strip daily. 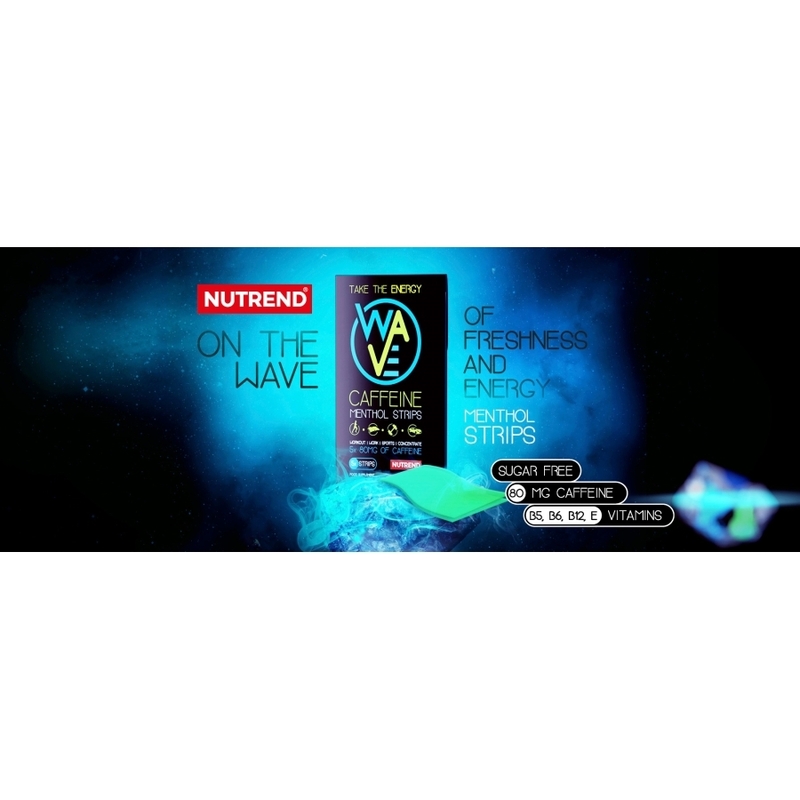 Do not exceed the recommended dosage – 1 strip. 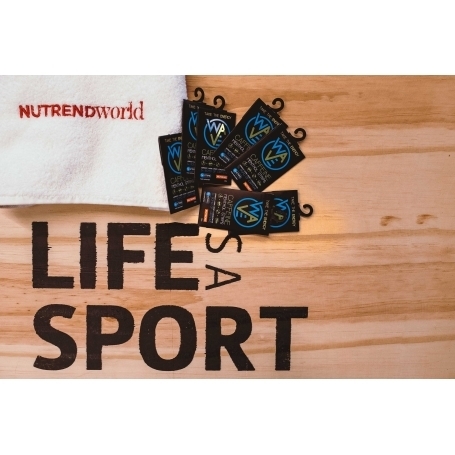 Warning: Food supplement, with sweeteners. 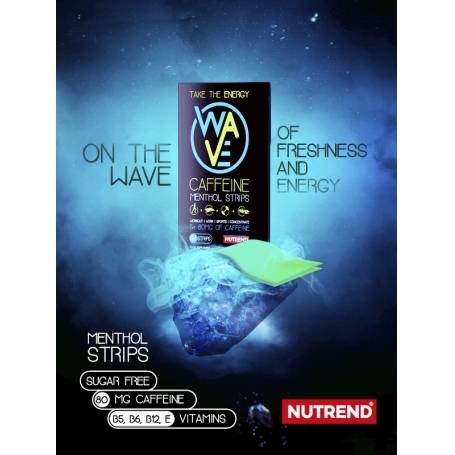 Contains caffeine (80 mg/1 strip) – not suitable for children and pregnant or nursing women. Does not replace a varied diet. Keep out of reach of children! 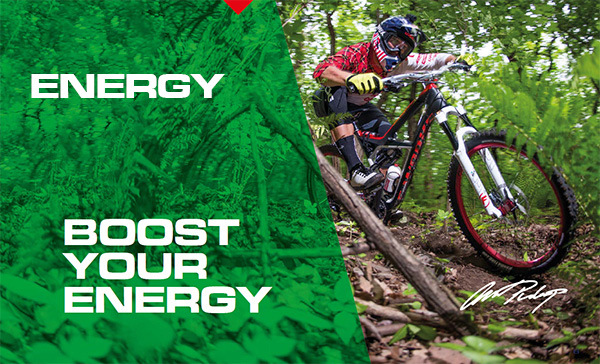 Keep away from heat and humidity. The producer is not liable for any damage caused by improper use or storage. 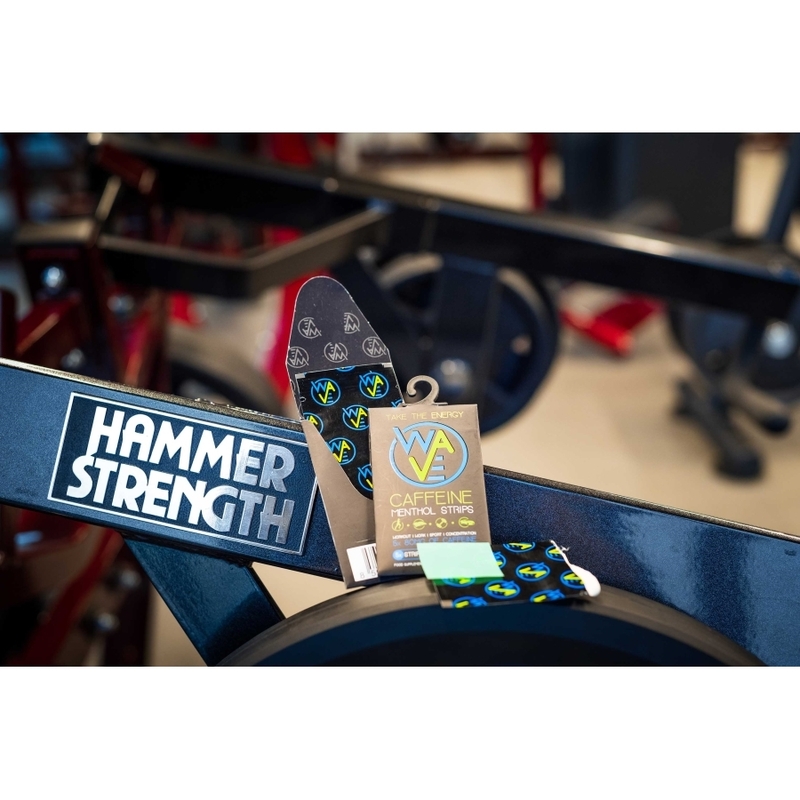 For date of production and best before date please see the packaging. Ingredients: caffeine, lactose, calcium D-pantothenate, raising agent sodium bicarbonate, flavouring, DL-α-tocopheryl acetate, corn starch, pyridoxine hydrochloride, acidity regulator sodium hydroxide, emulsifier E 433, sweetener sucralose, humectant glycerol, sweetener neotam, colouring agents E 142, E 133 and E 102 - may have an adverse effect on activity and attention in children, cyanocobalamin.